Once again, NetQuarry renews its summer internship program for its sixth consecutive year with five interns! 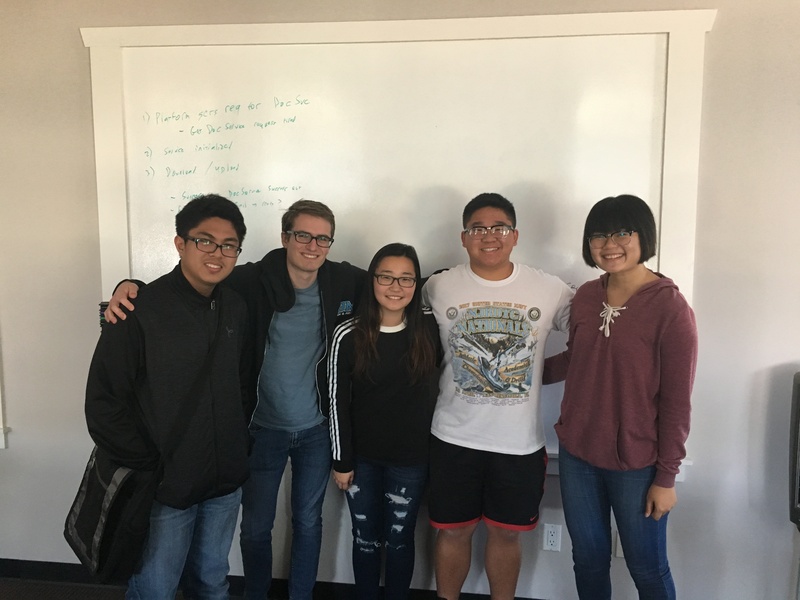 This year our office welcomed three high school interns as well as two college interns from both ends of the country, each bringing their own experience and prior computer science knowledge. Jullian Pepito, HaYoung Kong, and Andrew Wong all join us from the local Troy High School as a part of the Troy Tech program. These three are going into their senior year of high school at Troy. Shirley Liu is a rising sophomore at UC Berkeley and returning intern from two years ago and is currently majoring in Electrical Engineering and Computer Science. Dain Woods is a rising sophomore at Brown University in Rhode Island and is currently majoring in Computer Science. Unlike previous years, this year our interns worked primarily on their own with some guidance from full-time NetQuarry employee and Troy graduate, Zac Yauney. They worked together on a brand new project creating a Facebook messenger chatbot to parse and understand user input as well as allow for a concise and meaningful conversation. The interns will learn much more than just basic coding skills by the end of the year. By working together as a team on one project, they will gain experience with communication and will understand what it takes to work in conjunction as a group – such as working simultaneously on shared code and understanding what each person needs to do at every moment. And, as they are working on an entirely new project, they will learn the skills required to create an application from the ground up and constantly changing and adapting its features to suit the needs of the company. In addition, as the concept of machine learning and AI becomes increasingly developed in the working world, our interns will be prepared to tackle these constantly evolving fields of study. We hope by the end of the summer they are all prepared to take on even greater tasks in the working world and hope for nothing but the best for all of them in the future! Great post! Internship really helps students to learn new skills and students can get experience how to work in a team during internship which increases their confidence.I really loved to read this article and I would also love to share it at https://qanda.typicalstudent.org/. Keep sharing!